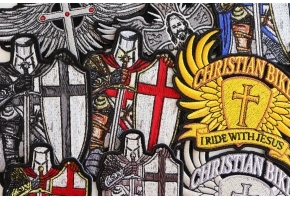 This large version of the monochrome colors "I ride with Jesus" Christian Patch measures 10x8.5 inches. 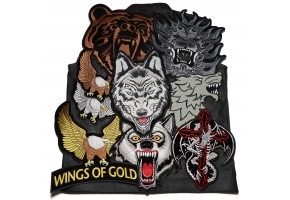 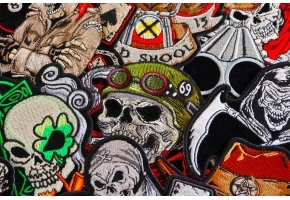 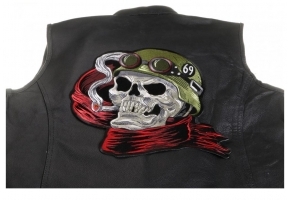 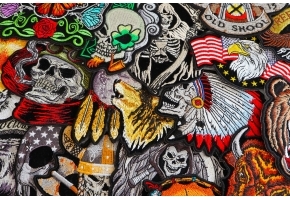 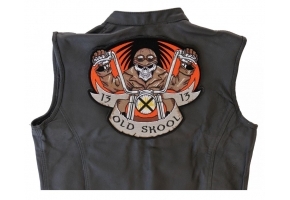 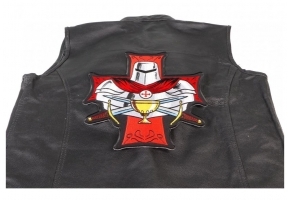 The Christian Biker Patch Measures 4.5x4 inches. 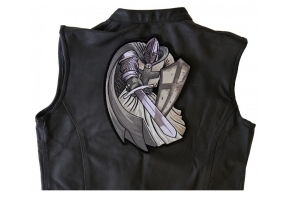 It is embroidered in shades of silver and white over black. 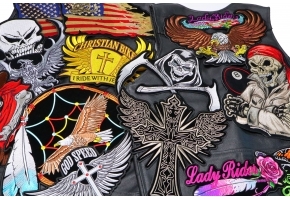 Features a Cross in the center and says "I ride with Jesus".